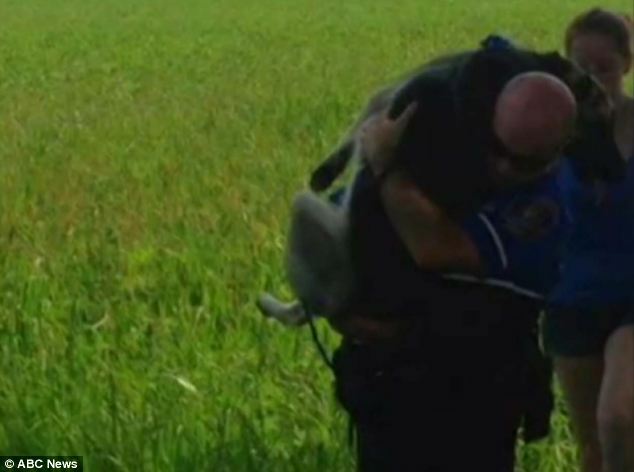 We love sharing heartwarming stories like this one about a cop that went searching for a hurt German Shepherd, Mya, who escaped a car accident scene. Officer Nick Ague from South Londonderry, Pennsylvania, who has a German Shepherd of his own, came to the limping dog's rescue, being the 'huge animal lover' that he is; he picked up the 75-pound Mya who had hot, torn up pads. Read the full story about Officer Ague's rescuing of Mya here.